Fantastic Jordan Lake cottage with deeded access for your own boat. Potential to make a loft area or add on. Fabulous fenced in yard (almost 1/2 an acre) storage shed with electric and paved asphalt driveway. 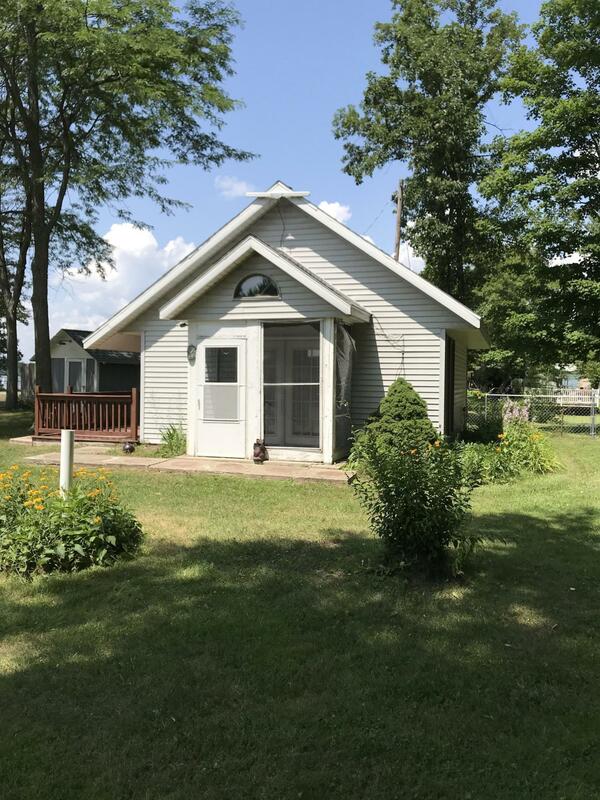 Cottage has a screened in entry porch with large 11 x 18 living area with adjacent kitchen. Open feel, room to expand, use your imagination! Wall to wall storage cabinet helps keep things organized. Bath has a convenient walk in shower. An addition would be required for home to be year round residence. Still time to enjoy summer fun on the lake. Additional lot across road would allow a pole barn to be built per seller. Additional lot would be $20, 000. Seller would consider a land contract Make an appointment to see today!